2014 Year in Review: The Year of Jackson! Happy New Year's Eve, y'all! I thought last year was fast. No. No, that was not fast at all compared to this year. Noooo way. Ha! :) Maybe it has something to so with being crazy busy with a baby! Let's get to the year in review, shall we? Ready.... Set... Go! 2014 began with quite a scare. I was 22 weeks pregnant with Baby Jackson, and on January 1st, I had terrible shortness of breath, and could not even lay down I was so uncomfortable. What I thought was the flu or bronchitis was actually a blood clot in my left lung. I had to give myself Lovenox shots twice a day from January til May because of it. It made me realize that I would do absolutely anything for my baby boy and how much I could face my fear of shots. The Lord gave me such strength daily for this! Thank you, God! On to a much better highlight, we also registered for baby goodies this month! Oh, what fun it was! Baby love! Russell and I enjoyed Valentine's Day and took this picture before we went to dinner that night. Russell also put together Jackson's crib! We celebrated Jackson's upcoming arrival lots this month with baby showers! It was wonderful to see many family members and friends at the showers. Our lives changed completely on April 21st as Jackson Randolph Price entered the world! It seemed like forever until I finally got to hold him, but it was like nothing else when Mommy met son. Best moment ever! I celebrated my 1st Mother's Day. So special. Our special friends, Kim and Emily, came to meet Jackson for the first time! We had so much fun! 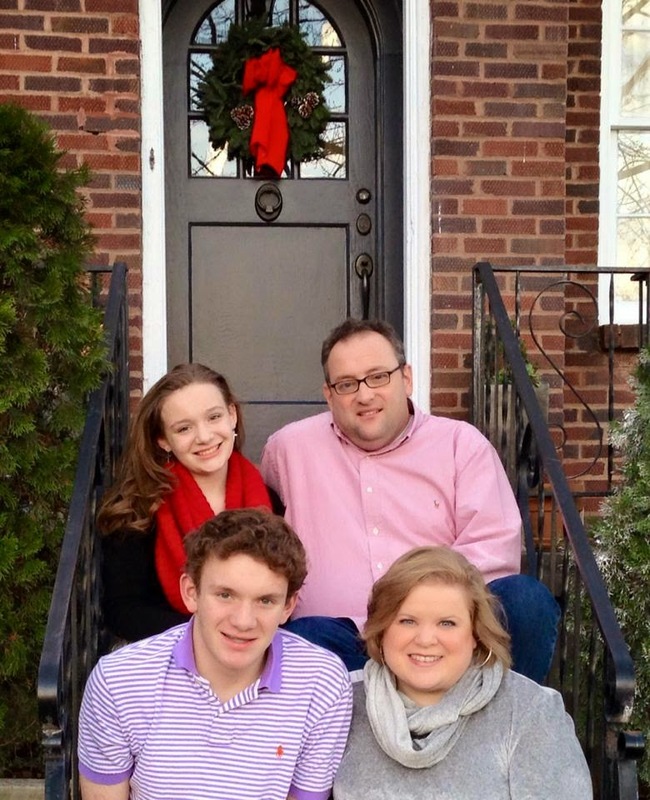 We enjoyed spending time with lots of family this month! Jackson visited Camden and Magnolia for the first time. Sweet baby bear. Oh my! Sweet little chubby cheeks enjoyed his 1st 4th of July! Jackson wore his cute little swim trunks and rash guard and went swimming for the first time. :) He wasn't too fond of it. Next year will be more fun. August is my bday month and it was the best birthday ever! We were so excited to celebrate the beginning of fall. J also tried green beans for the first time. He likes them now! Our lil punkin grew and grew so fast this month. He was a sweet lil lion for Halloween! Oh, I know I am very partial, but I think he just gets sweeter and cuter every day! Jackson's 1st Christmas! I will post about it soon! I cannot believe 2014 is pretty much over! Make every day a memorable one! I love y'all so much and I hope you have a fabulous, prosperous, healthy, and blessed 2015! Make memories! 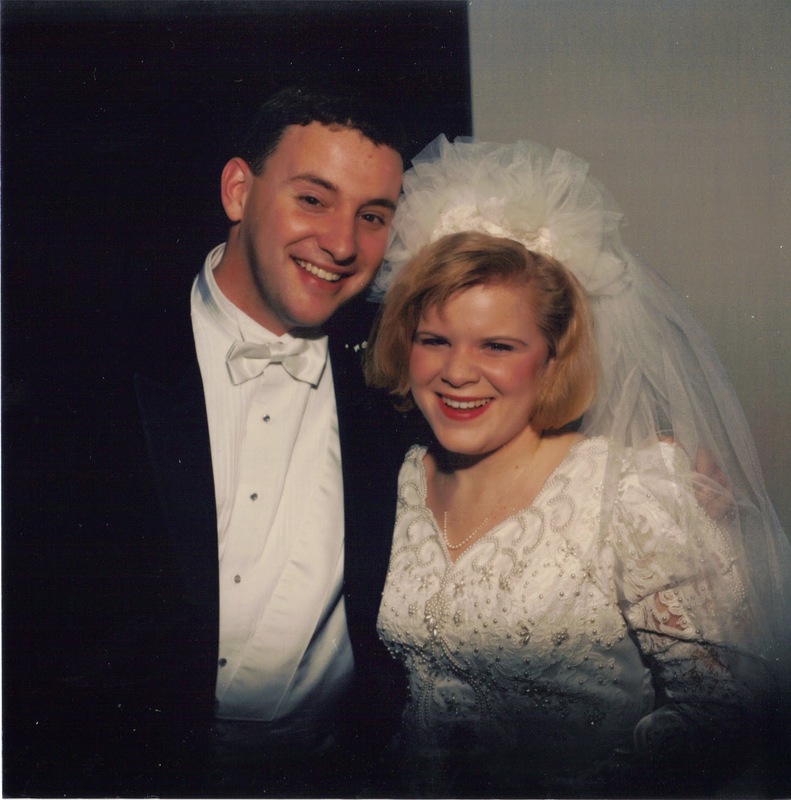 Happy 20th Wedding Anniversary, Kelly and Eric! My sister is my best friend. I love her so much. We are sisters, though 13 years apart in age, that doesn't stop us from being close! 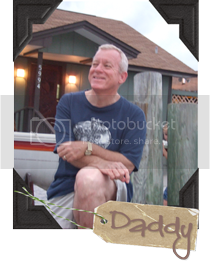 I have been so blessed to know Eric, my brother-in-law, for about 25 years or more. The day they got married was one of the best memories! I was nine years old and so excited to be a junior bridesmaid. 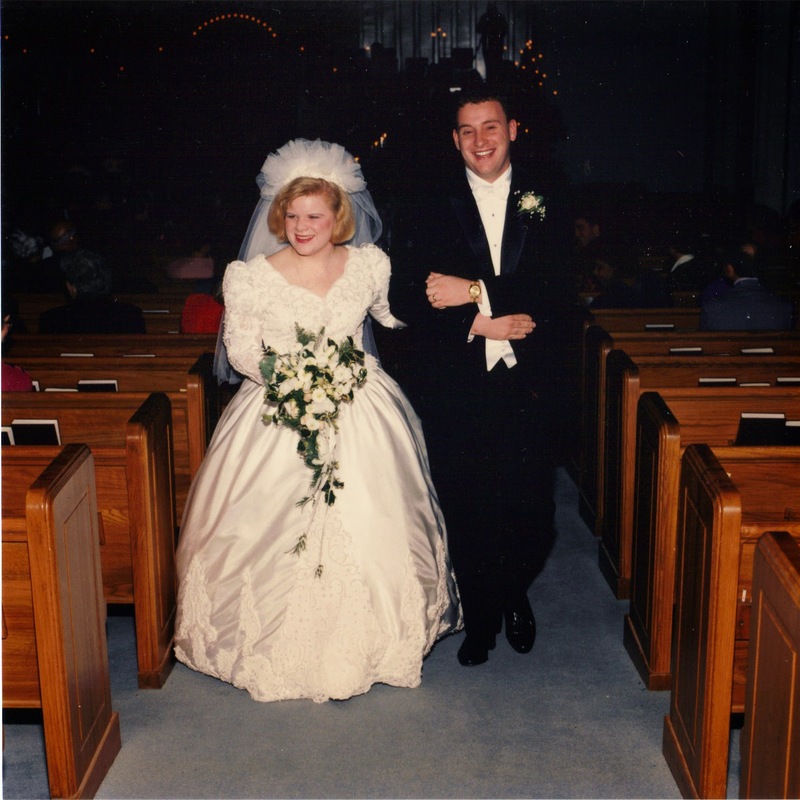 On December 31, 1994, Kelly and Eric said, "I Do." From the hunter green taffeta bridesmaids dresses, the gorgeous white poinsettias, the old world babysbreath accents, everything was perfect! Still laughing, even twenty years later! They now have two teenagers, Logan and Lauren, who are the best ever! We all love you, Kelly and Eric! Celebrate big! Here is the bible verse that was read at your wedding and on your wedding program. Such a wonderful verse! Teenage girl, much too young, unprepared for what's to come. Not a ring on her hand, all her dreams and all her plans. The man she loves she's never touched. How would she keep his trust? And she cries, ooh she cries! She has to leave, go far away, heaven knows she can't stay. Unto Us a Child is Born!! It's Christmas Eve Eve! Don't yall just love the "Eloise at Christmastime" quote? Here is Jackson all dressed up. He turned eight months on Sunday and I cannot believe it! My best friend, Amy is a worship pastor in the area and their church had the coolest live nativity!! 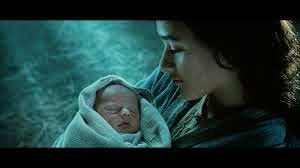 We all loved it so much and it really did put into perspective the things Mary and Joseph went through to deliver baby Jesus. Amy, me, and Jackson. He was looking at everything but the camera. :) We love Amy! Sweet pic of my boys! Leighann was an angel and got to wear a beautiful dress and halo. Very pretty! Leighann was an awesome singing angel. "Hey! Hey! Unto us a child is born!!" Too funny of Jackson and the goats. We loves the live nativity. There were also three wisemen, shepherds, and sheep. The downtown square has a beautiful nativity displayed every Christmas and we could not wait to see it again this year. Look at our baby boy! This is the sweetest pic!! Love them so much. We are so thankful for our life together as a family. Hope y'all have a very Merry Christmas!! Maybe I'll pop in for a quick blog post in a day or two. 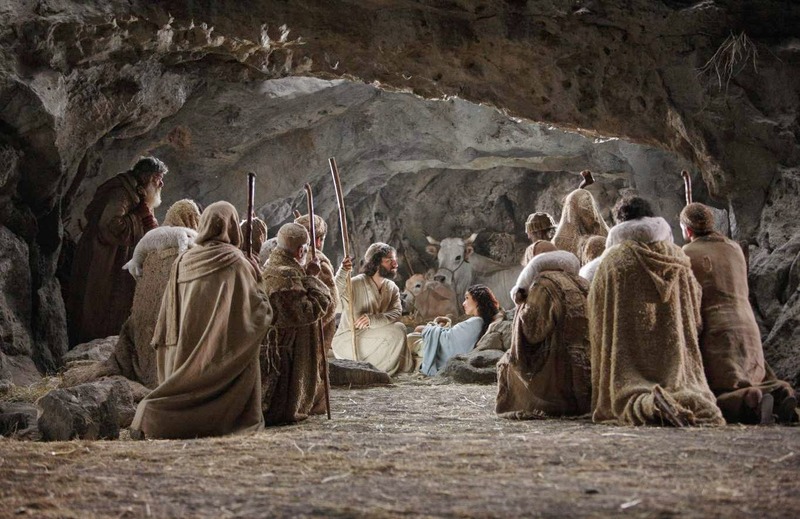 So amidst the hustle and bustle, try to remember what Christmas is all about. Jesus Christ's birth. Happy Birthday, Jesus! Friday night, I went to bunco with one of my dear friends, Brandi. She finally got to meet Jackson, too! We had a great time and I enjoyed getting to know some awesome ladies! Our Sunday School class ladies had a Christmas cookie decorating party on Saturday, so I decided to make some sugar cookies ahead of time. I broke out the vintage cookie cutters my mom gave me. I love them. I had such a good little "helper." He loved playing with the wooden spoon. He wanted to play with that ball of dough before we put it in the fridge. So funny! Oh, I am certainly not The Pioneer Woman, but I do love taking pictures of food! Carolyn, me, Kari, and Kelsey! So fun. Here's our cookie display! Lots and lots of sweets! I only took a few home. I was apparently in the baking mood, so since we needed to bake our annual cinnamon rolls, I was so excited to get started on those! The pot on the left is the best aromatic mixture you simmer on the stove. Mmmm, the smell of Christmas. The dutch oven has the cinnamon roll dough right after it rose. Russell cut it all and we put it in pans. All done! YUM! Can't wait to give to family members again this year. It's the 4th year to do it and we love it lots. Last night, I really wanted to try harder with the sugar cookies and glaze. I have never really perfected it like my sister, Kelly does. Russell helped me ice them and I think they turned out great. We will share them with family soon! Today, I have been wrapping gifts like crazy and I am still not finished. But it is oh so fun! Another post coming soon!